We may not have flying cars, rehydrate pizzas or self-lacing shoes like Back To The Future promised us just yet, but some aspects of the final frontier are already here. Namely home DNA kits, which allow even non-science boffins to uncover fitness, health, ancestry and even male pattern baldness (had my fingers crossed I didn't have this gene) insights with a vial of saliva. I'd wanted to try one for ages, so when 23andMe approached to see if I'd like to try it out, obviously I jumped at the chance. 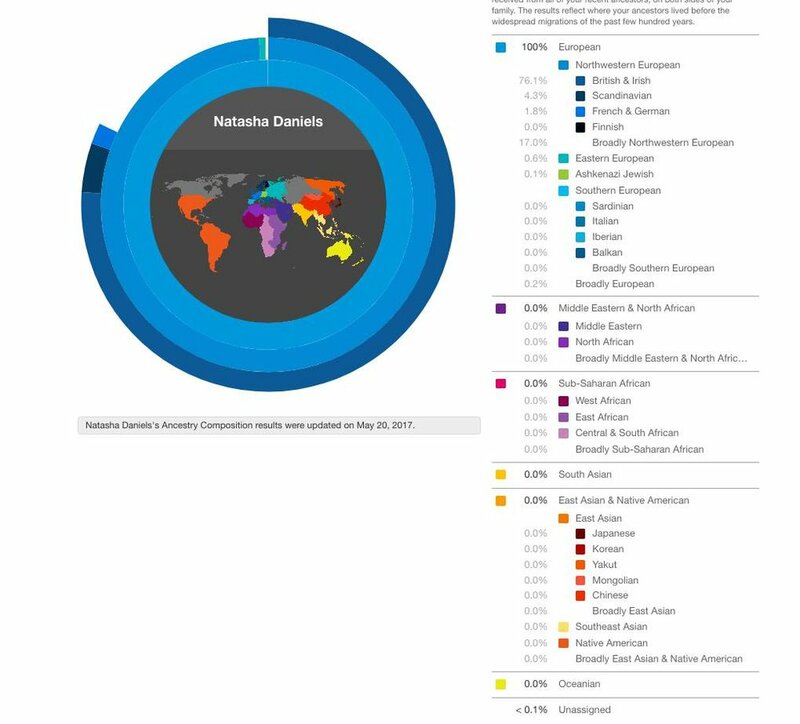 Arguably the biggest name in the business, 23andMe is a full-spectrum test that covers everything from potential health issues to international ancestry. Along with the serious stuff, it can also reveal more frivolous traits hidden in your DNA, such as whether caffeine has a greater effect on you, whether your body will respond quickly to working out and your chances of developing grey hairs early. The kit is pricier than other tests on the market, but the firm’s ancestry insights can provide data stretching back to the Neanderthals. Plus, all your information is stored online, and there’s the option of speaking to an expert to take you through the findings. 10 weeks or so later, I got an email to say my results were ready. 23andMe is fully online, which I actually thought was a shame as I'd like to have got a test for my grandparents as a gift but there's no way they'd work out the website. This aside, though, the fact it's all online adds something - it means that they continuously update your results with new findings, everything from whether I am genetically predispositioned to like coriander (nope, revolting stuff) to whether I carry the ginger hair gene (yep). The website is pretty easy to use but there's SO much information it can be hard to track down exactly what you're after, although having spent a bit of time on there now, I've got the hang of it. Available at 23andMe, priced £149.